The What: Draper has launched the TecVision XH800X UST ALR and CS1000X ALR, the latest additions to its TecVision line of ISF-certified, 8K-ready viewing surfaces. The What Else: TecVision XH800X UST ALR is a premium ambient light-rejecting surface formulated for use with ultra-short throw (UST) and short throw projectors in moderate to high ambient light applications for improved contrast and color saturation. This surface can reject 57 percent of off-axis ambient light while still being able to support extremely wide viewing angles. Available in NanoPerf up to 102-inch image height, the TecVision XH800X UST ALR works with lens throw distance ratio of 0.25:1 or longer for brightness uniformity. In addition, the TecVision CS1000X ALR features 82 percent ambient light rejection, making it suited for spaces where ambient light levels cannot be controlled. The TecVision CS1000X ALR’s half-gain angle is 20 degrees and should be viewed within 30 to 35 degrees off axis. A lens/throw distance ratio of 1.6:1 or longer is recommended. The Bottom Line: Available in sizes as large at 23 feet by 67 feet wide, TecVision surfaces offer minimal variance in gain spec and optimal uniformity for better ambient light performance qualities. 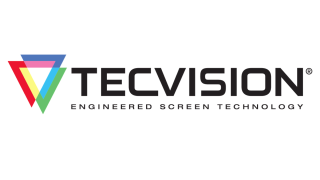 All TecVision surfaces are engineered for high contrast, precise resolution, color accuracy, and the broadest possible view cone. Draper will demonstrate these new screen materials at booth 2347 at InfoComm 2018 in Las Vegas, from June 6–8, 2018.